and for . If the number appear in the sequence of the 's then is called Gilda number. 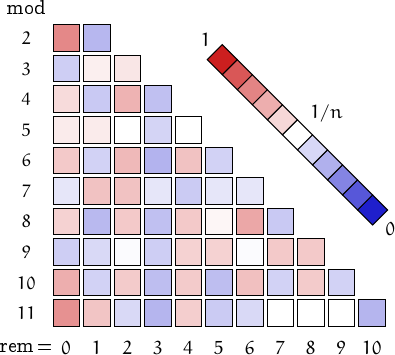 For example, starting with n=152 we have the sequence |1-5-2|=6, 1+5+2=8, then 14, 22, 36, 58, 94, and finally 152. 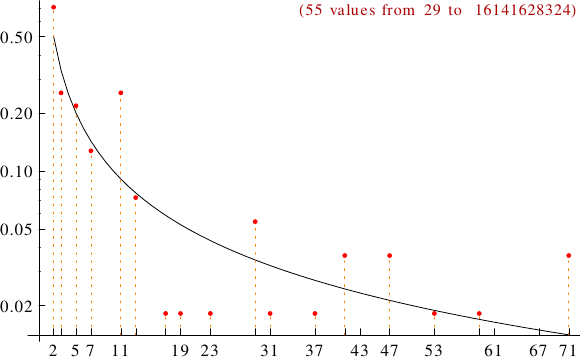 A graph displaying how many Gilda numbers are multiples of the primes p from 2 to 71. In black the ideal line 1/p.